← What do you read on? In some competitions, you know exactly what the criteria for winning are. You have to score the most points, run, swim, or bicycle fast, leave X number of others behind. You can see the competition; you can feel them breathing down your neck, or watch them drawing ahead of you on the road or the scoreboard. You can see what’s going on and adjust your efforts. In others, you’ve done all you can do by the time you’re in the competition, and the only remaining effort within your control is participating or not. You’ve created your piece, and now the only decision is to enter or remain on the sidelines. Juried shows and literary awards can’t be practiced for, other than putting all your craft to work in the creation. Your entire creative life is your preparation, and nothing else can be done to affect the standings: no pep talk, no energy drink, no digging deep within for that last bit of stamina. And the results are only partially concrete. Rather than seeing who’s riding the fastest, the process of selection is based on criteria that may or may not be transparent to all. And if the judges have biases or have been overloaded by too many other works that share a characteristic with yours, well, all you can do is hope that it gets cancelled out internally. Your best effort has already been made. I like to win. Give me worthy competition on the backgammon board or the Scrabble board (must study up Q and J words: my annual Thanksgiving Scrabble competition with the sisters-in-law is upon me!) and I am all over it. I’m nice about it, because sportsmanship is the art of winning without alienating. So there, Leo, I seldom finish last, though my time to swallow my pride may come later in the evening. Those ladies know a lot of Z words. Team sports, well, I know my limitations, though I have been known to impersonate an athlete. (Allan’s mishaps on the ski slopes are, alas, my own, as was Jake’s negotiation of a slope beyond his ability.) Writing awards: we’re into territory with no timeclocks or scoreboards. Now it’s down to faith in my ability to tell my tales. There are some fabulous storytellers in our genre: am I confident that I can entertain with the best of them? Not really, but that didn’t keep me from putting my work in harm’s way competition. Since it’s a competition that depends on hitting the judge’s enjoyment in addition to qualitative measures, whatever they may be, I can only hope to strike that bit of extra interest with the world I’ve built and the people I’ve populated it with. In slightly less than two weeks, the Rainbow Awards will be announced. Blood on the Mountain is a finalist, which both delights me and fills me with fear, enough to keep me from mentioning it right and left. Okay, got past early rounds, and if I held my breath any longer on this I’d pass out completely. Will this book go the next step? I can only hope, having written it to the best of my ability. There are some terrific books in the finals. And with the small bit of confidence this gives me, I’ve submitted Spokes to the Lambda Awards. 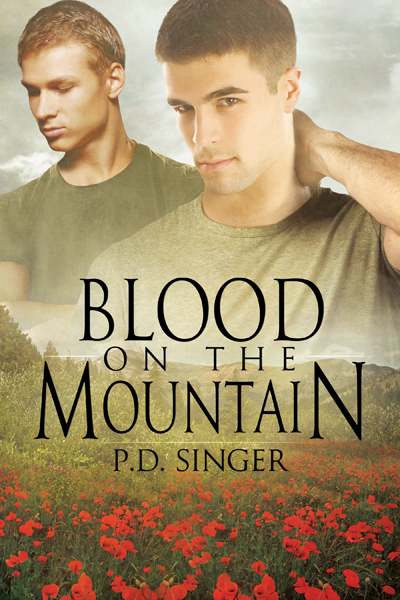 This entry was posted in Blood on the Mountain, Spokes, Writing and tagged Lambda Award, Rainbow Awards. Bookmark the permalink. I don’t know who to blame! The not-into-sport gay me or the Aussie me, but certainly a failing in the geek/librarian me. I had to research who Leo Durocher was, but was already suspicious I would recognize the quoted reference. Like your writing, your post got me thinking/researching. Thanks. May you use both Q and J on a triple word score!.